Discover fast, interesting fun Elephant facts for kids with some amazing, cool and quick information. Ideal for children, homework, schools, teachers and kids of all ages! Scroll down for more information. There are two types of Elephants, Asian and African. Elephant’s scientific names: African is Loxodonta Africana, and the Asian name is Elephas Maximus. 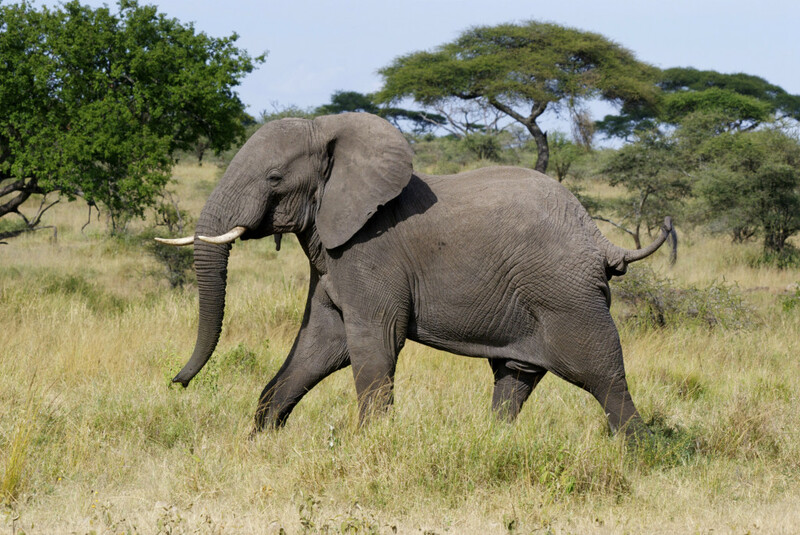 Elephants are the largest land mammal in the world. As herbivores, elephants eat bark, grasses, fruits and roots. Elephants have a highly developed brain and the largest of all the land mammals. Elephants can hear one another trumpeting calls up to 5 miles (8 kilometers) away. Female elephants live in groups of about 15 animals, all related and led by a matriarch. The elephant has such sensitive skin that it can feel a fly landing on it. At the age of 16, an elephant can reproduce, but rarely has more than four children throughout her lifetime. Female elephants are called cows. A baby elephant typically stands about 3 feet (1 m) tall and weighs about 200 pounds (91 kg). Check out some interesting facts about giraffes!